There is always place for one more beautiful ornament on the Christmas tree! 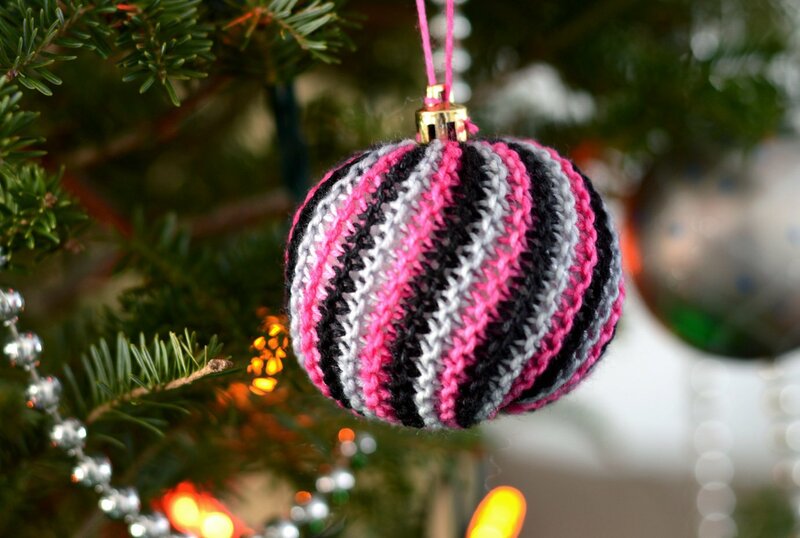 Knit your own, super easy Christmas ball! 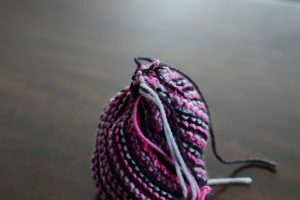 Step 1: Choose your favorite 3 colour combination of any yarn. 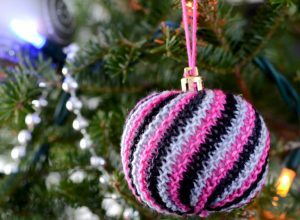 The heavier the yarn bigger the ornament will be. 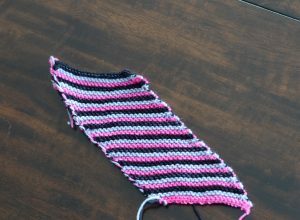 Row 1: Knit front and back of the loop (or use any other method you like to increase 1 stitch), knit to last 2 stitches, knit 2 together. 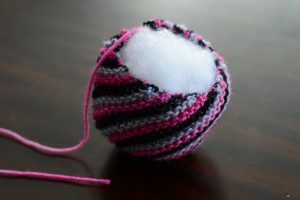 Do not break yarn. The edge will stay hidden inside the finished ball. Attach colour B and repeat Row 1 and 2, then do the same with colour C.
Repeat for 60 rows in total. Bind off leaving long tail. 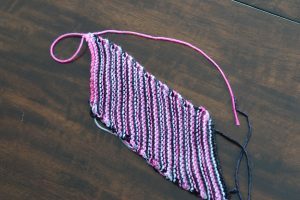 With wrong side facing down, fold to match Cast-on with Bind off edges. 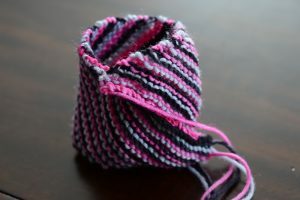 Sew them together to form a tube. With the tapestry needle weave the yarn tail just below the the edge. 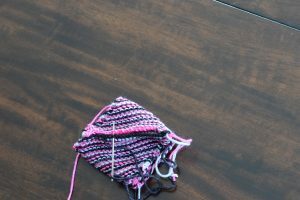 Pull yarn tightly to close. Turn ornament inside out and stuff to form a ball. With the tapestry needle repeat as for the bottom edge. 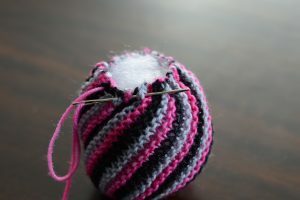 Pull half way and stuff until a nice ball is formed. Pull tight and secure yarn. 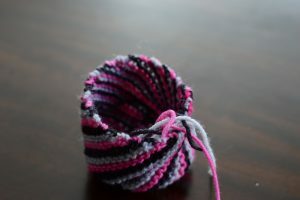 Add a charm and form a loop with the remaining tail. Hang on the tree! 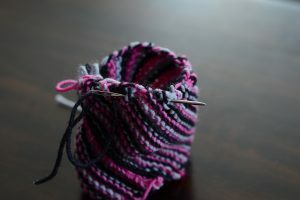 Posted in Free, Patterns, Tutorials and tagged Belle, Bubblegum, Clair de lune, Obyx.